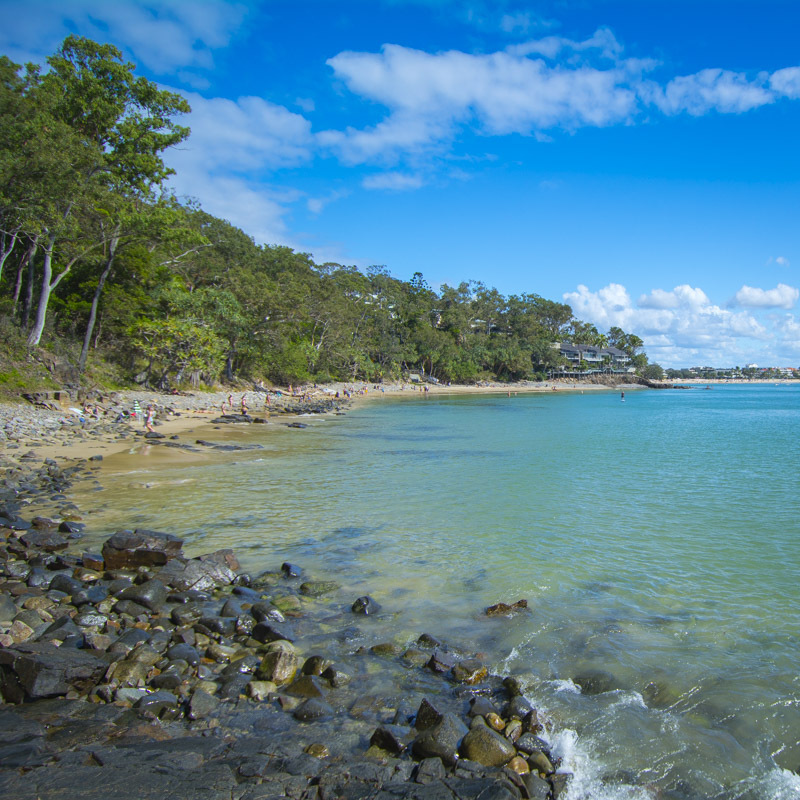 Ahhh – the world-famous Noosa National Park. Even as locals we NEVER get sick of this place. It’s gorgeous all year round. The coastal walk between Little Cove and Hells Gate is simply magnificent. The views are picture perfect – everywhere you look seems like a postcard. If you’re lucky you’ll spot dolphins playing, whales migrating and possibly……a koala perched in a tree! Sounds too good to be true right? It’s one of the spectacular places in Noosa where even us locals are still blown away by the natural beauty that this patch of paradise radiates. There are some great hiking trails within the park – with the trail network spanning around 15 kilometers. So pop on your sneakers, grab your water bottle and hit the trails. You can start from Hastings Street and walk to the main car park. From there you’ll found some information and a map on the different trails in the park. You can also have a look at the Noosa National Park Map here. The Coastal Track is the most popular route – and for good reason. The BEST photo opportunities in Noosa are on this walking track. The Coastal Track starts in the carpark and follows the coastline to Sunshine Beach. However, a popular turnaround point is “Hells Gate” which is a reasonably easy 2.7 kilometer walk from the carpark. Finding a carpark in the Noosa National Park is no easy feat. The popularity of the park, especially in peak holiday periods means the spaces fill up quickly. If you’re aiming to get a carpark try and get there early. Otherwise your next best bet might be a park on one of the side streets before entering the main car park. If you’ve got the energy you can start your walk from Hastings Street where you may have better luck finding somewhere to park your car.